It is not another mod that adds ore crops. The main idea was to take the growth stages, and the requirements for planting, growing and harvesting a little further than what I've seen. First, get some Normie seeds by breaking a few grasses in the world, then use the seed as one of the crafting ingredients to make the mod's ingame documentation book. You will need this book with you to help figure out how to grow some crops, and how to harvest them as well. Thanks for stopping and looking! The crafting system for getting crop seeds have slightly changed. You still get the normie seeds like, erm, normal, but you use those to craft some Artisia seeds, which will let you craft the other crop seeds. Please refer to the in-game guide book to see how it is set up. 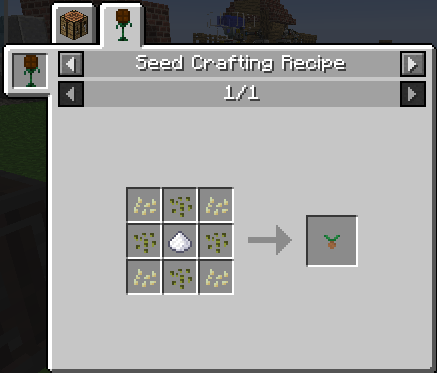 Additionally, there is JEI support for the new seed crafting recipes. 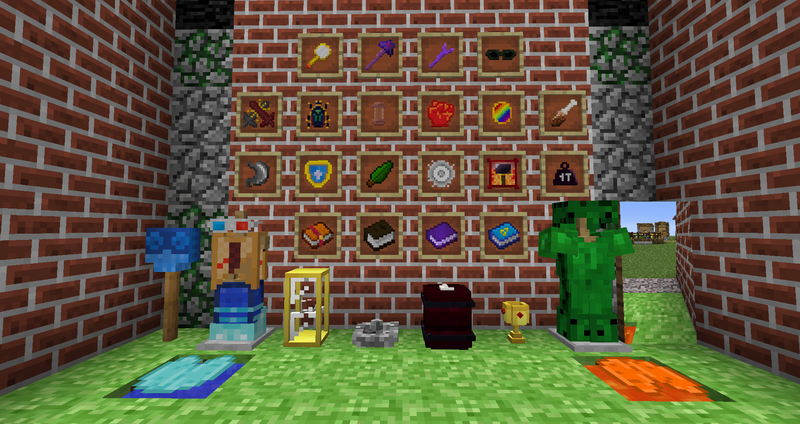 Currently, this mod requires Minecraft Forge to be installed. It has no coremods that it depends on. Optional mods that you could install to enhance your experience are JEI and The One Probe. fossura plant harvests itself and the block it is placed on and the fuel(wheat seeds) . is it possible to change it so that it beginns mining 2 block below itself ? It does? Well, it's designed to skip over any instances of crops or instances of farmland, like minecraft's tilled farmland. So unless the crops are planted on some weird farm block, something else is going on. well i guess i found the culprit. 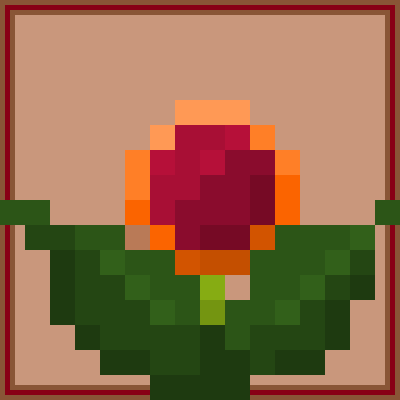 iam using a block from rustic. will try with regular farmland. Oh, where I can find plum seeds? From other seeds? Or I must try to find them in some dungeons , or maybe breaking leaves and grass? So, seeds fully grown, and after that I waited 30 minutes and bedrock remained the same.. 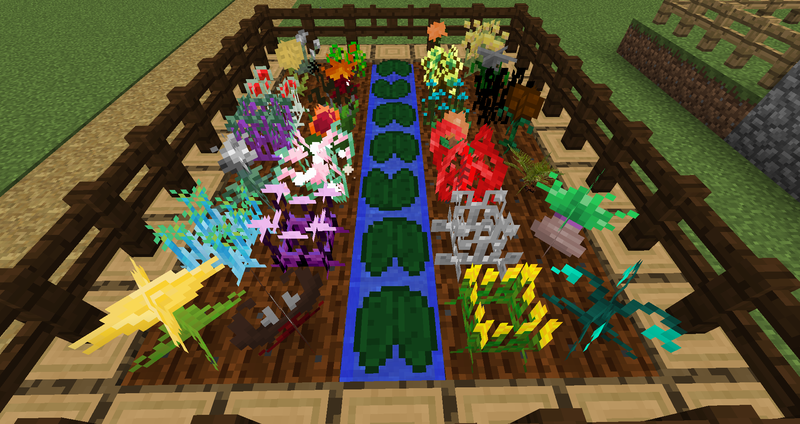 I believe in this version of the mod that's available right now (1.12-0.1.52), there is a gamerule that the crop depends on to determine its behavior. If gamerule mobgriefing is off, it won't transform any bedrock into the dark blocks. Rather, as long as mob griefing is turned off, you must rightclick harvest this crop, which will have a chance of providing either obsidian or the dark block. If mob griefing is turned on, it will transform nearby bedrock blocks as normal, as long as they are not the lowest layer. If CoFH is installed and flat bedrock generation is enabled, then there will be no bedrock above 1y for the crop to transform. I found 4 mods in my current modpack (Life in the village), deactivated the right click harvesting in all configs, but the right click still pop the plants.. It is a so common feature in modded minecraft, we don't even know which do that and how go back.. So how do we collect the result of a craft on the center Artisia without harvest it, and so having to harvest all 8 others to let it "grown last" and craft ONE more seed ?? Why not to make the central artisia drop the result on the ground, simply? Furthermore, strangely, I do not manage to apply some bonemeal on it to accelerate the regrowth.. I have not had the chance to test this mod with any mod that adds rightclick harvesting with crop types, seeing as it already implements its own form of rightclick harvesting. If possible, those mods should have a way to add exceptions so as to let crop harvesting behavior work in the first place. It is reasonable to expect such a rightclick harvest mod to enhance vanilla crops, but some control should be allowed to make exceptions, seeing as some of the crops can have special right clicking properties. 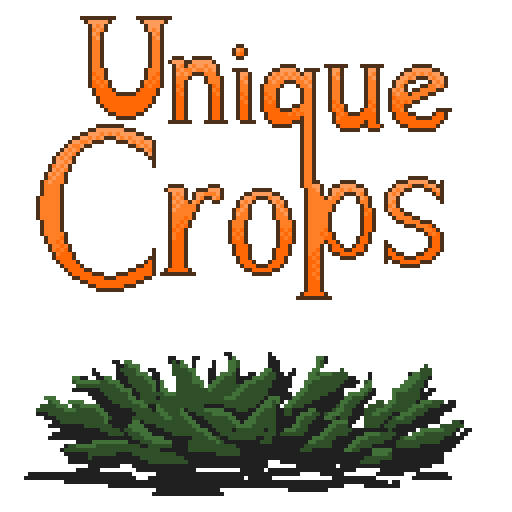 Currently, for this version of unique crops, crouching while rightclicking with bonemeal should force the Artisia crops to grow. Works fine in that modpack in Single Player. I can't post the entire crash report here, it is too big. Also, this doesn't crash the server, just the client. Cinderbella seeds: in the book, it says they must be planted between midnight and dawn...but also must be harvested by midnight. So, I have to harvest them instantly? That text was unintentionally ambiguous about how the crop works. What you do is plant the crop sometime after dawn, when it's proper day time, and then you have all the time in the world to grow/bonemeal it and harvest it before midnight. Even with chest above them and written books, they don't do anything. It'll search for written books in chests placed on top of bookshelves. In that screenshot, it seems to be grass. As an addendum, make sure the text in your written books are wordy enough. For that I recommend the navy seal copypasta.